Poppy Wyatt has never felt luckier. She is about to marry her ideal man, Magnus Tavish, but in one afternoon her "happily ever after" begins to fall apart. Not only has she lost her engagement ring in a hotel fire drill, but in the panic that follows, her phone is stolen. As she paces shakily around the lobby, she spots an abandoned phone in a trash can. Finders keepers! Now she can leave a number for the hotel to contact her when they find her ring. Perfect! Well, perfect except that the phone's owner, businessman Sam Roxton, doesn't agree. He wants his phone back and doesn't appreciate Poppy reading his messages and wading into his personal life. 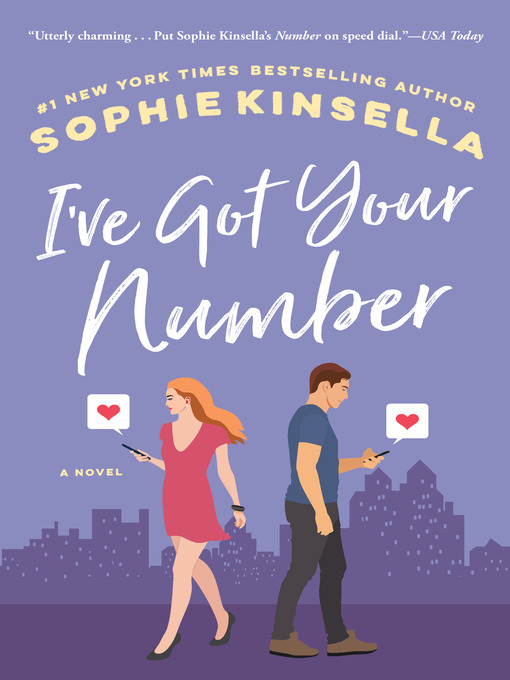 What ensues is a hilarious and unpredictable turn of events as Poppy and Sam increasingly upend each other's lives through emails and text messages. As Poppy juggles wedding preparations, mysterious phone calls, and hiding her left hand from Magnus and his parents, she soon realizes that she is in for the biggest surprise of her life. BONUS: This edition includes an excerpt from Sophie Kinsella's Wedding Night.